Medieval castles - fortified residences of governors (e.g. kings, their liegeman, bishops etc.) - belong to most impressive monuments of medieval culture. In Europe medieval castles were first built in France in the middle of 9th century, when during the decline of Carolingian dynasty there was weakened the rule of king and vice-regents started internal wars. Both internal warfare and attacks of Vikings, Muslims and other external enemies did not leave any hope for governors to retain their power and even their life, if they did not fortify their residences. Thus in these unsettled times in Europe mushroomed thousands of fortified castles. More influential governors planned and realised whole programs of castle construction, building a group of castles in strategically important locations. The idea and constructive solution did not appear in blank space - fortifications in Europe have been built at least since Neolithic times (in Western Europe - 8500 - 2500 BC). Developed technologies for fortifications entered in Europe in ancient times - ancient Greeks and Romans perfected the planning and construction of fortifications. In many places of Europe medieval castles have been built on ancient Roman fortifications. In the course of time the planning of castles was improved. Europeans learned the fortresses of Byzantium and Near East during the crusades of 11th and 12th centuries. Europeans here borrowed the principle of towers with regular placement, the meaning of careful geometric layout. There was borrowed also the principle of several concentric lines of fortifications. Before this European fortress consisted of a tower - keep (donjon, bergfried) - with somewhat weaker wall around it. Defenders of the fortress paid main attention to protection of the keep. The principle of several fortified rings turned the single castle into a kind of several fortresses, which are placed each into other. The capture of such castle technically meant capture of several fortifications. In the planning of fortified castles there was a shift from square towers to round towers during the end of 12th century - 13th century. Square towers were easier to damage or undermine. Initially the castles were placed in locations which were hard to access, f.e. in summits of rocky cliffs. But as the planning of fortresses developed, in 13th century it became possible to defend a castle located in plain landscape with similar success. While in 9th century the development of fortified castles indicated the fractioning of former empires, the programs of castle development during the 13th century cemented the central authority. During the 13th century there were realised intense programs of castle development in the recently conquered lands, f.e. in Poland, Prussia, Finland - and also in Baltics, including the area of contemporary Latvia. While in Northern Europe the construction of castles was carried on in full swing, in Southern Europe, especially in Italy, started a decline of fortified castles. The spread and development of fire arms gradually diminished the significance of stone walls. On several occasions guns in one day crushed fortifications which were built for many years and considered to be unassailable. Castles to a lesser extent served as fortifications and increasingly - as representative residences of noblemen. At the end of 14th century there were built first castles (Rebuilding of castle in Ferrarra - Castello Estense (Italy) - after the unrest in 1385) where aesthetic objectives prevailed the military objectives. In 16th century fortified castle had turned already into anachronism and construction of new fortified castles ceased in Europe. Until the end of 17th century the technology of fortified castle was applied with success in America. With the flourishing of Romanticism at the end of 18th century there was revival of interest in medieval times and medieval aesthetics. In the architecture of palaces this was expressed in gothic revival (Pseudo gothic) forms. Medieval castles in this time often were rebuilt and modernised in gothic forms, there were built also new palaces which resemble medieval castles. There are more than 10 000 medieval castles and their remnants in world, exact total number is not known. 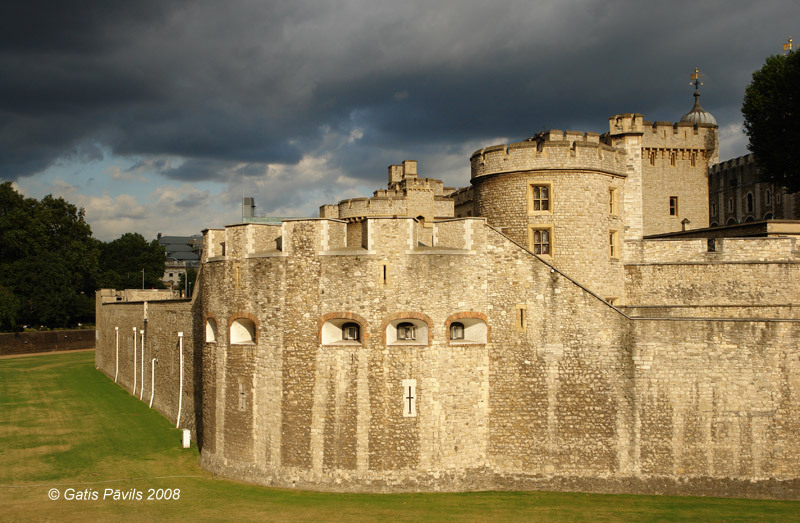 Most medieval castles in contemporary Europe and elsewhere in the world are considered to be valuable monuments of architecture, in numerous places castles serve as a core element of historical urban landscape. Medieval castles are valued that high that even their remnants are protected and conserved. Sometimes there are rebuilt castles which have been destroyed a long time ago (Royal Palace in Vilnius), rebuilding is done with possibly high authenticity. Fortified residences of governors and settlements were built in area of Latvia well before crusades but the typical medieval stone castles here were started exactly by crusaders. As Latvia was a colonized country, indigenous people did not build medieval castles (except for Ikskile and Old Salaspils castles where initial co-owners were also local Livs), all castles were built to control the conquered land. As a result a medieval castle in Latvia is defined as a fortified residence of Western European conqueror, medieval castles were built here starting from 1185. Sometimes conquerors used as their castles also wooden fortifications and other fortified buildings, f.e. fortified mills. The decline of medieval castles in Latvia started with the appearance of fire arms, similar to other Europe. 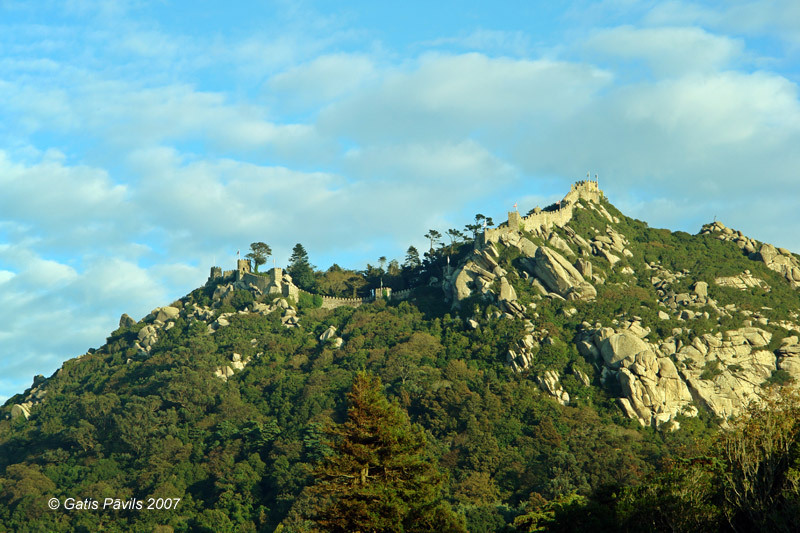 Last new medieval castles with extensive fortifications were built in late 15th century. At the second half of 16th century there was Livonian war and large part of stone castles were destroyed, thus attesting the decline of these buildings. During the 17th century part of the old castles got new earthen ramparts, which gave tactical prevalence, especially if castle was located in higher point. At the beginning of 18th century, during the Great Northern War most Latvian medieval castles were destroyed. 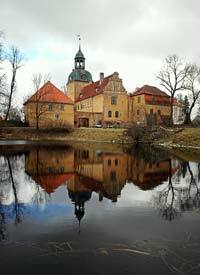 In the area of contemporary Latvia there have been preserved in comparatively good shape (major part of castle still has got a roof and walls are not ruined) 19 medieval castles, part of these have been considerably rebuilt or even newly rebuilt. Historical castles in Alsunga, Dundaga, Edole, Jaunpils, Krustpils, Lielstraupe, Mazstraupe, Nurmuiza, Riga, Slokenbeka and Ventspils are still in use. Besides these castles there have survived also some 50 - 55 castle ruins. In 60 - 68 cases there have been not preserved any remnants above the ground, location of castles is defined by earthern ramparts or just written sources. Several castles have been flooded by hydropowerplants on Daugava river. Location of at least 4 medieval castles is not known even approximately - castles are mentioned in written sources but have not been found in nature. It is possible that the number of medieval castles is larger, as the construction of castles has been poorly recorded or, what is more plausible, written sources about such buildings have been lost or have not been found yet. Some of the wooden castles built by crusaders existed only for a short while and did not leave traces in nature or in documents.